Multiport Download Tool (MDT) is just another great alternative tool used for flashing MTK smart phones. Follow the steps below and learn how to use Multiport Download Tool to flash or unbrick MTK devices. romkingz takes no take responsibility on whatever may happen to your device. On some versions of MultiportDownloadTool , all you need is to click Scan button and connect the device.The COM port will be detected automatically. Click Start button on the corresponding port number ticked. Now connect the device with battery inserted. The process is complete when you see DL OK and 100% in the progress bar. You can now click Start button to flash your device. Thanks a lots for giving us valuable information. Its working. i run a scan and says fail what to do? a mi me arro el siguiente error, warning may be error follows com ports number repetitive or invalid brom and preloader have the same com port number please modify them in ini file or scan again.si pueden ayudarme gracias. after successful flashing my doogee x5 pro the display is nothing...blur...once switch on the device only vibrate and nothing appeared...can u help me? says DL error. What should be done for that? is there shortcut to flash my phone? "the memory buffer for loading image fail"how resolve this problem?? I followed the steps and got DL ERROR. 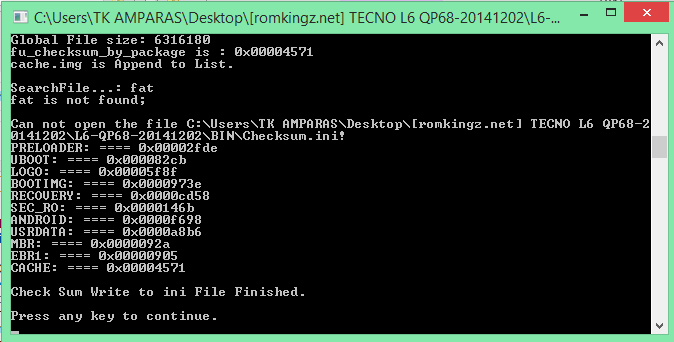 The links to the tecno y5s tock roms nolonger works. Any dog, regardless its size, shape or breed should be taught the five basic commands. Let's be honest, CBD oil for dogs are cute, but a trained dog is even more pleasant to be around. These commands, if taught correctly, will make your life and your dog's a very happy one. Cute baby dresses look wonderful on the babies they are bought for. When the baby outgrows the cute cheap flower girl dresses then you have to decide what to do with these items. You can sell them and recover some of the money you have invested in them. You can give them to others, or you can make some adorable crafts out of cute baby dresses to decorate your home. The city of Brisbane in Queensland, Australia, now has the world's 3rd most expensive train fares for a 5km adult single peak journey and the world's 2nd most expensive bus fares for a 5km adult single peak journey. We also hold the title of having the world's most expensive maximum daily fares for multiple 5km adult bus and train journeys and the world's most expensive 5km single journeys without a refund policy if delays occur. If you are thinking about vape life your new or used car into town and parking you will be happy to know that Brisbane's CBD parking prices have also increased 28.7% in the last 12 months, four times that of Sydney and Melbourne.